If a country requires an expensive visa, you may hesitate to add it to your travel list. Places like Russia, China, and even portions of Eastern Europe for instance, would likely never be considered for a short trip if you must incur the cost and invest the time needed to secure a visa in advance. There are, however, several countries that allow visa-free visits, many of which you might not be aware. Here are five countries you can visit visa free that you might not have been able to in the not-so-distant past. Many flights transit through the capital city of Doha, Qatar. Perhaps you’ve wanted to explore the city during one of these transits. Although previously you would purchase a visa on arrival, the Gulf state of Qatar has recently announced that it is allowing citizens of eighty countries a visa waiver. The granted visa waivers allow nationals from 47 countries, including the United States to stay in Qatar for up to thirty days. Thirty-three additional countries qualify for visa waivers for stays up to ninety days. There is no charge for the visa waivers and you can secure one when you arrive at the airport in Qatar. This visa-free option for visiting Russia is not new but worthy of reiteration. There’s a Russian law that states that if you arrive in a Russian port by cruise ship or ferry, use a licensed Russian tour operator, and you depart on the same transport, you can stay in the city up to 72 hours without a visa. St. Petersburg, Russia, is one of the most popular and easiest to take advantage of this option. Several cruise itineraries have been designed specifically to take advantage of this opportunity. These cruises depart form Helsinki (Finland), Tallinn, (Estonia), and Stockholm, (Sweden). They’re quite affordable as well. Package prices on the large ferry lines can be purchased for well under $200 including a sleeping cabin. In order to comply with the Russian law allowing the visa-free visit, you must use a licensed tour operator. The round-trip tour bus transport from the ship to the city qualifies and the cruise company will facilitate the booking. 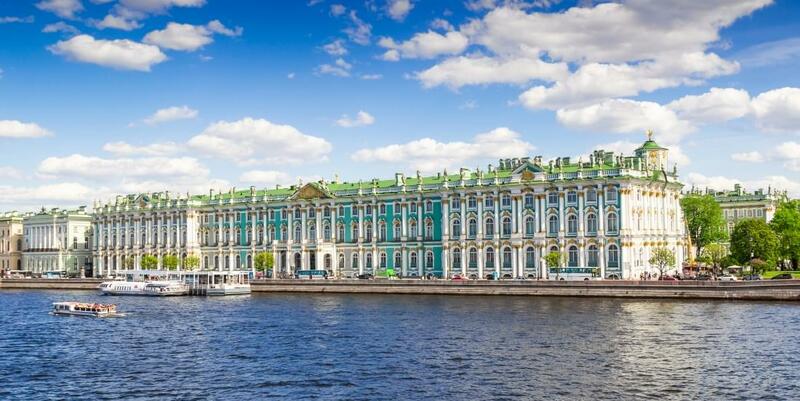 The 72-hour visa free period will give you plenty of time to visit the historic Hermitage Museum, a must if you make the trip. Another country that perhaps has not been on your bucket list is Belarus. Up until recently, this small landlocked country located between Russia and Poland required U.S. citizens to secure a visa in order to visit. However, earlier this year, the country eliminated visas, not just for U.S. citizens but for 79 additional countries. You can now stay visa-free within the country for up to five days. To qualify for the visa-free stay, you must enter and leave the country via Minsk National Airport in the city’s capital. Belarus is known for its rich history and its Stalinist architecture including the former KGB Headquarters located in Minsk. A few years ago you had to jump through a lot of hoops to secure a visa for entering Kazakhstan. Your application would have to include a list of all the countries you’ve visited in the past ten years, a letter to the Consular stating why you wanted to visit the country, and the payment of a fee. This tedious process is no longer required since the government of Kazakhstan eliminated the need for U.S. citizens to secure a visa. You can now stay in the country up to thirty days without a visa. This will give you plenty of time to explore. Don’t miss the Green Market, and the colorful Zenkov Cathedral, the second highest wooden structure in the world. Foreigners who are transiting through China via international airlines, ship, or train can take advantage of 24-hour visa-free transit if they are traveling on to a third country. A temporary stay permit can be obtained at the immigration counter. Certain cities, however, allow travelers to stay longer. The popular 72-hour transit visa allows U.S. citizens to stay in certain Chinese cities for up to 72 hours without a visa if they are traveling on to a third country. 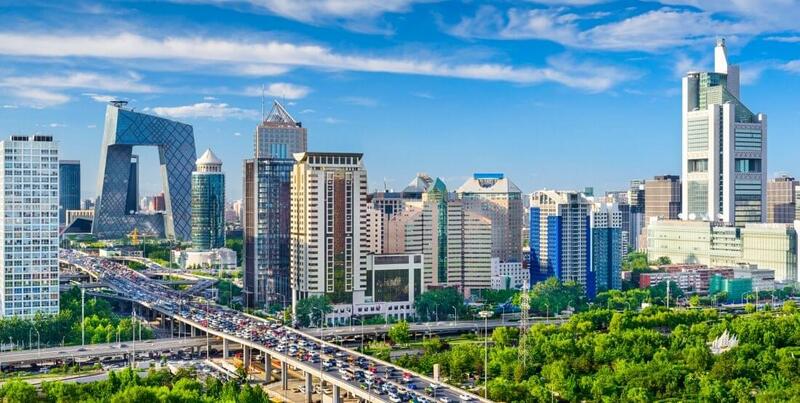 Cities that allow these 72-hour visa-free stays include Beijing, Chengdu, Chongging, Dalian, Guangzho, Guilin, Qingdao, Shenyang, Tianjin, Xiamen, Xi’An, Wuhan, Harbin and Kunming. The 72-hour Chinese transit visa has been around a while and has been successful. This success has led to the Chinese government expanding the length of the visa-free transit visits to 144 hours in certain cities. U.S. citizens that arrive in Guangdong, either of the two airports in Shanghai, Jiangsu, or Zhejiang, can take advantage of the expanded visa limits. In order to stay visa free, travelers must be transiting to a third country, however, during the 144 hours they are allowed to travel between these cities. Beijing will be added to the list later this year. Visa-free transit in China has restrictions. In some cases you can travel within a province and in other cases only in an immediate city area. In all cases you must be traveling onward to a third country or “region” in the case of Taiwan, Hong Kong, or Macau which qualify and you must have a confirmed ticket onward. For example, you cannot travel from the U.S. to Beijing, visit for 72 hours and return to the U.S. without having secured a formal visa prior to your trip. Not having to go through the process and expense of securing a visa could save hundreds of dollars and make the difference as to whether one travels to a particular country. However, visa requirements change constantly. Countries such as Vietnam and Turkey now use the e-visa process, China expanded the scope of their visas, and even Russia reviews its visa options occasionally. Always check before you travel and watch for visa-free opportunities to visit new places. Visit the State Department web site to determine if you need a visa for your destination.